Building on the concept of "No. 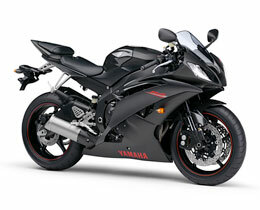 1 in razor-sharp handling and super-exciting performance," the 2008 model YZF-R6 has undergone a full model change, with new features like the "Yamaha Chip Controlled Intake" (YCC-I) system developed in line with Yamaha's "G.E.N.I.C.H." engineering ideal. It also features the first magnesium rear frame ever adopted on a production model, which enables greater concentration of mass to contribute to even higher levels of performance not only in circuit riding but also on secondary and winding roads. 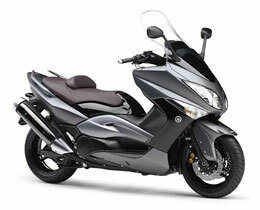 The Yamaha TMAX quickly won a following after its release thanks to its outstanding ride and innovative styling and soon established a new category: the "automatic transmission sport bike." The 2008 European model has been developed around the concept of "an evolution of the sports commuter" with measures like optimization of the intake and exhaust systems, adoption of a new-design aluminum frame, 15-inch tires front and rear and a new exterior design. The result is a new TMAX with new levels of performance in the ride, the look and feel of quality and environmental performance.